Borg Lock Marine Grade Mechanical Digital Door Lock for wooden and metal gates with slam latch, that allows the gate to slam closed and lock. 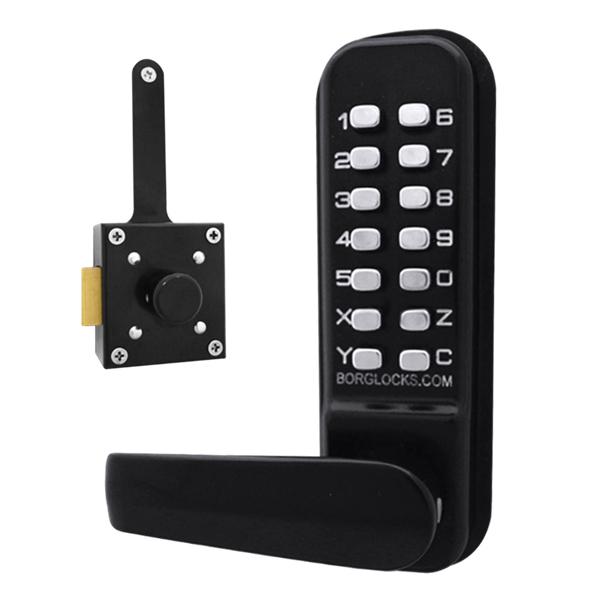 The Borg Locks BL4409 comes is marine grade with a satin black finish, the lock has been extensively tested with 1000 salt spray hours. This lock is ideal for light to medium traffic location, where an access control slam lock is required. The BL4409 can be fitted to left and right hand gates and can be used with wooden and metal gates of up to 60mm thick.